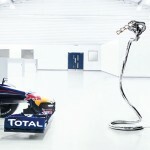 If you are a car racing enthusiast, the Racing Gold Exhaust Lamp will speak directly to your soul. Born out a passion to create art from racing car parts, Racing Gold manufactures custom products from components which were originally used as part of motor racing vehicles. Racing Gold breathes new life into these used racing parts, giving them a purpose that lasts well beyond their original intended use. 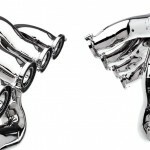 Racing Gold transforms a variety of car components into unique artwork that functions in practical ways in both the home and office. Because of their sleek curves and shiny surfaces, the pieces also provide fantastic conversation points as visitors come into your home or office. 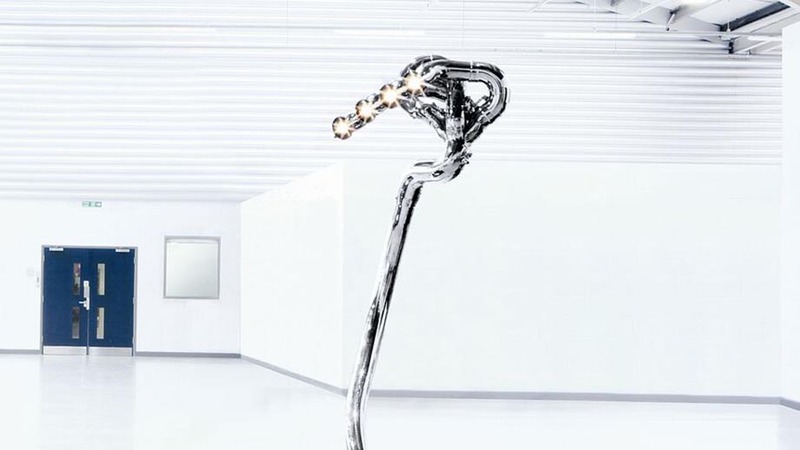 One of the best pieces the company produces is a floor-standing Exhaust Lamp built from a polished exhaust system removed from a Formula One racing machine. At one time, this exhaust system glowed fiery red hot as it expelled engine fumes from a car racing at more than 200 miles per hour. 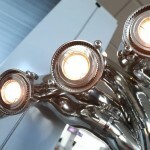 Now, it provides light in any room with gearbox rings as lamp holders and a hand-polished exhaust system with four curved pipes as the main feature. 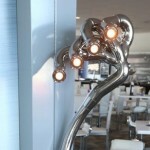 A long, highly polished base provides support for the lamp. 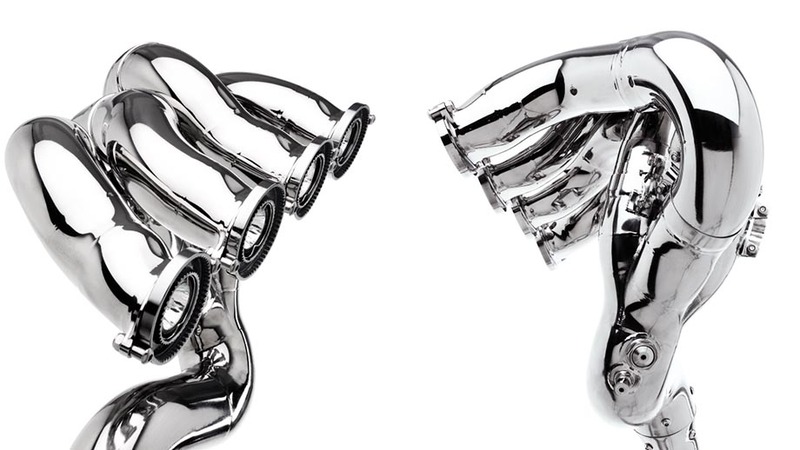 Even though the exhaust parts have been used in actual race cars, they have been repurposed with style and are now gleaming, highly-polished pieces of art that catch your attention immediately. The pieces that Racing Gold produces are unique and attractive because they come from sleek, smooth, aerodynamic racing cars designed to be very, very fast. To ensure the racing cars are safe, each individual piece of the car has been engineered very carefully for maximum speed and reliability. This means the individual components are quality pieces themselves, which is why Racing Gold decided to mold them into practical works of art that look as spectacular as the cars they once served. 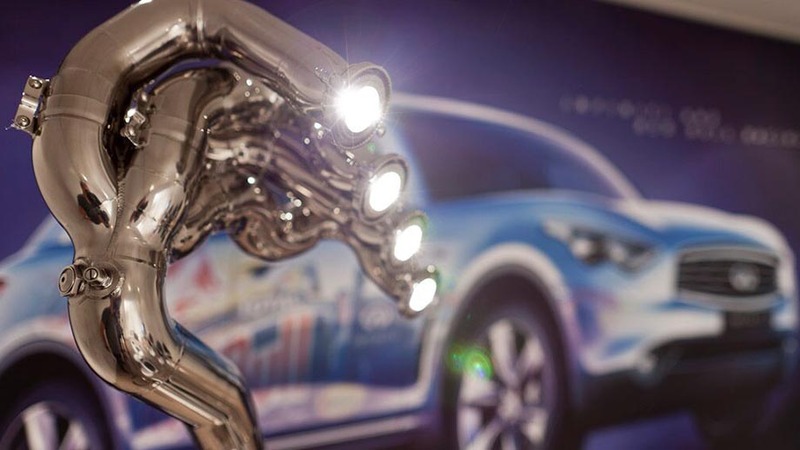 Other pieces besides the Exhaust Lamp include lights fashioned from aerodynamic elements, along with mirrors created from the high-quality disc brakes, which played the vital role of stopping the car. Additional pieces include a Coat Stand, an Exhaust Table, Large and Small Lamps (with a base made from gears), a Wheel Spoke Clock, an Aero Vase, an LED Desk Lamp, a Disc Game and more. 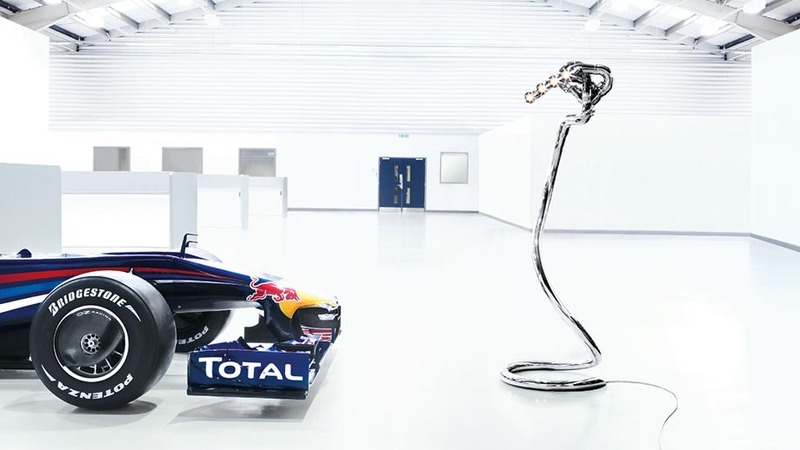 When you purchase the Exhaust Lamp, you also receive a tour of the Racing Gold Formula One headquarters and factory in Milton Keynes, United Kingdom. This will give you a chance to observe the unique process by which the products are made. 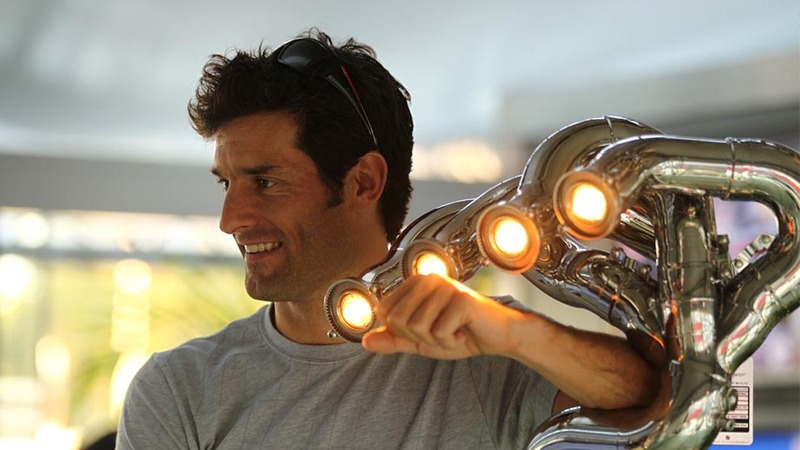 You will also receive a signed certificate of authenticity and a history of your exhaust lamp, including details about the Formula One car it came from and how it was used by the team. Every Formula One car that races is unique, and so are the pieces created from the cars. 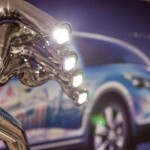 Because of this, the individual Exhaust Lamp you receive may differ slightly from the photos on the Racing Gold website. Each piece is numbered to ensure its individuality. To buy the Racing Gold Exhaust Lamp, contact the company through a link to a company email address on the site. 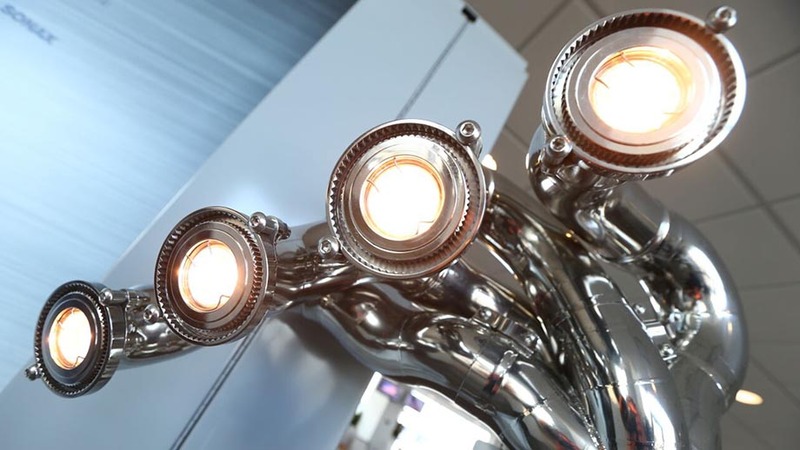 Prices are not listed on the website, but the company will provide pricing information and let you know how soon you can expect your exhaust lamp to arrive. 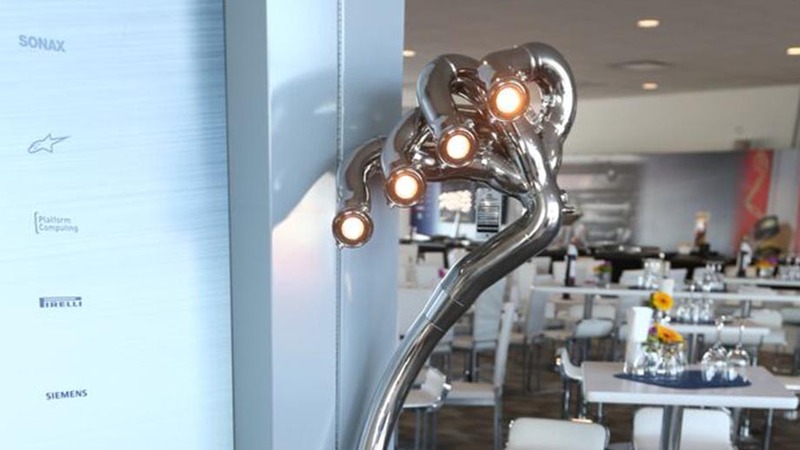 If you’re looking for an original piece of art for your home or business that will instantly become one of the most talked-about pieces in your circle of friends, the Racing Gold Exhaust Lamp provides the “wow” factor that is hard to replicate. Get in touch today to own your piece of history! Toys For Big Boys is a cutting-edge company designed to bring upscale luxury products to the public marketplace. The company’s new website lists dozens of unique luxury items for sale to affluent buyers.